The Festival runs this weekend, March 23-24, 2013, at Alexandra Palace, North London, and visitors are promised a weekend packed with 40 working layouts, more than 100 exhibitors, demonstrations aplenty, clubs and societies on view, and - new this year, though the organizers haven’t said what it is, exactly - the British Railway Modelling Village. Big-name trade sponsors for the Festival are the well known Hornby, Bachmann Branchline and Graham Farish. The Model Railway Club - otherwise known simply as the MRC - organises the layouts, and whatever their skill level, visitors are always welcome and can get involved on the MRC displays. Rail scales and gauges are something else entirely to the non-specialist, so it’s no surprise to find that there will be a myriad of them at the Festival, including 2mm fine scale, N gauge, 00, EM, HO, S scale and O-scale all represented. We’d like to think there will be the odd ON30 layout too, as many of the old-timer locomotives and logging-style layouts are excellent and unusual. 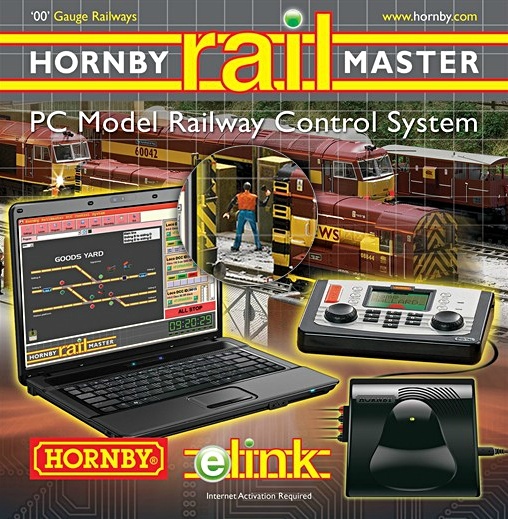 Trade sponsor Hornby has big news at the show with its new e-Link, a computer-based system that allows layout control from a computer, iPad, iPod or Android device. The e-Link system can operate up to an amazing 9,999 locomotives, running with more than 2000 sets of points or other accessories at any one time. Simon Kohler, Marketing Manager for Hornby says: “We need to get the interest of the young families for this pastime to continue to thrive and grow. Young and old have to see the excitement in it, model railways is the ultimate pastime and can bring a family together as they take part in the hobby. 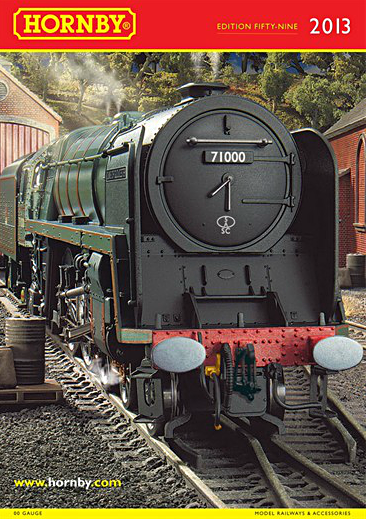 “The e-Link system makes controlling a technical layout intuitive and Hornby’s passion for the hobby allows the simple train set to continue as the beginning of an endearing hobby for life." 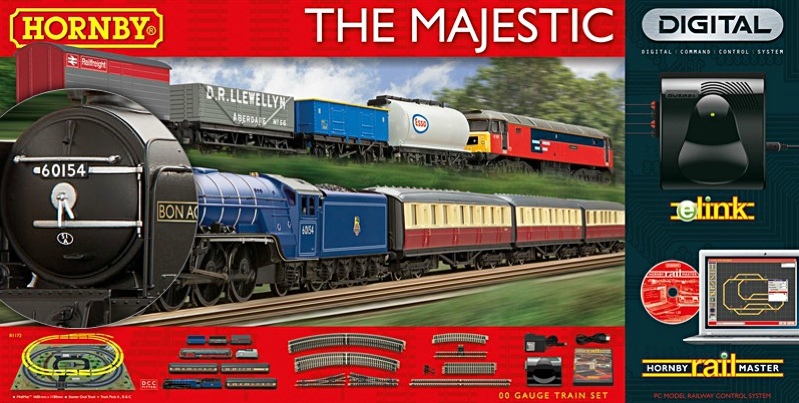 The 2013 Hornby catalogue is out now too (below), and looks an interesting read. The Majestic train set includes a classic 4-6-2 steam locomotive and coaches, and a modern-style Class 47 diesel hauler, ideal for moving assorted wagons around the twin oval of track, all included in the box. To use e-Link, all you need to do is to connect up to a computer, load the ‘RailMaster’ software and then you are ready to roll. According to Hornby, using e-Link is incredibly intuitive, making train operations simple and straightforward. Oh, not forgetting that an iPad isn’t included... oh well, we can but hope. Hornby digital rail stuff here.